Shop Casio ARDX Double X Keyboard Stand from AMS and enjoy Fast & Free Shipping. 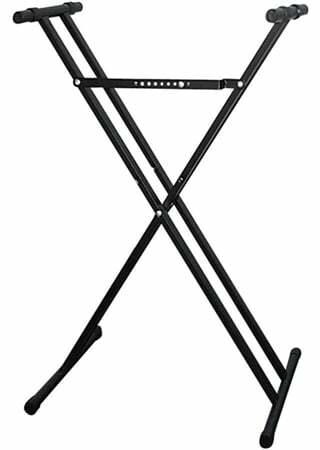 The Casio ARDX Double X Keyboard Stand is easy to assemble, portable and sturdy. It is fully adjustable to different heights for greater playing comfort and can support up to 150 pounds. The ARDX is the perfect compliment to your Casio keyboard, at a great price. Strong , easy set up great product! It works good was a little hard to put together. Works great most of all its very stable.